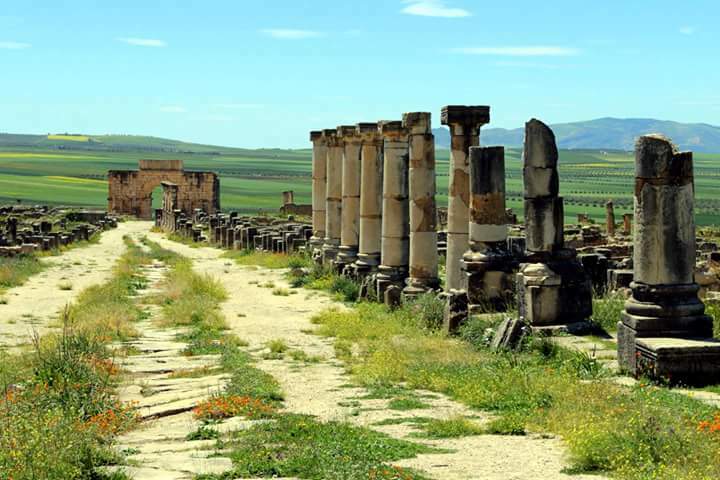 This Morning we travel to Rabat visiting some historical site like Chellah with its massive octagonal defensive gate,a lovely spot In Rabat where you see a breathtaking combination of Roman and Merinid remains. You have the unfinished mosque fascinating Tower Hassan 12th and the piece of art mausoleum Mohamed V to visit.It was built by the king Hassan II to his father Mohamed V for honoring him as the father of the independence. We walk through Kasbah Oudaya 12th beautiful white and blue building with a fantastic view over beach and river Bouragrage After the tour of Rabat we move to the next city Fes. . Overnight in Fes. 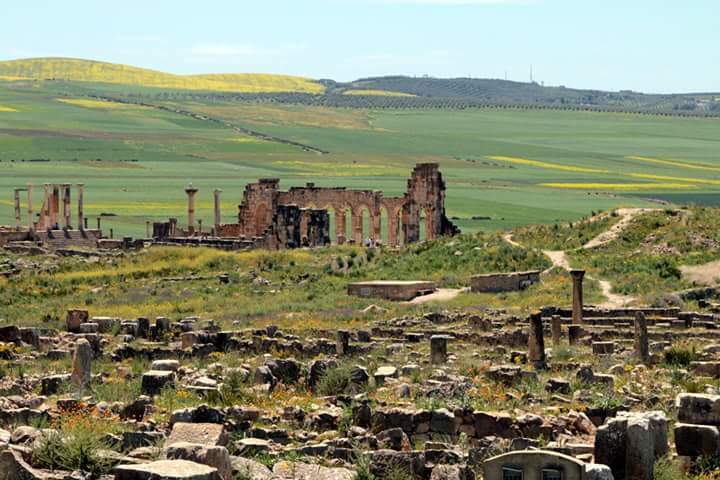 This Morning at 09:00 am you meet our local guide of Fes ; you are going to explore the old medieval medina of Fes and the 1st imperial city, a real labyrinthine of more than 9000 alleyways and deserves to be the intellectual and cultural capital of the kingdom. Mingled with fasi people in these streets full of articles , colours and donkeys carrying goods . 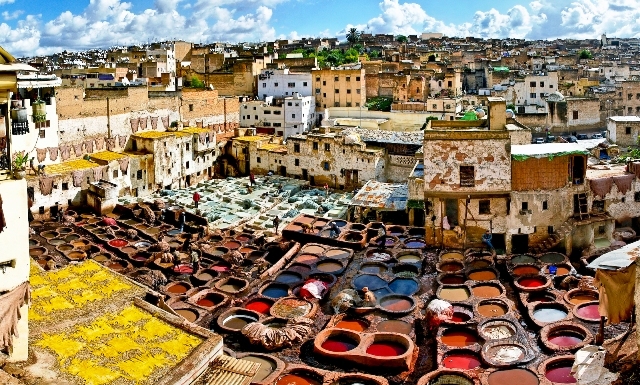 You will see a lot of handcrafted items,Fes is number 1 in crafts, like old days using the same materials .The tanneries ,famous in fes, is one the highlights of the tour, watching locals working on skins of goat, lamp, camel and cow, in small pits. You also will indulge yourselves with some special dishes of Fes cuisine. You will enjoy a panoramic view in the southern tower of Fes;and visit the cooperative of pottery where they make tiles and Moroccan mosaic .Or maybe you go for an optional entertainment dinner show with belly dancers to end up your tour of Fes. 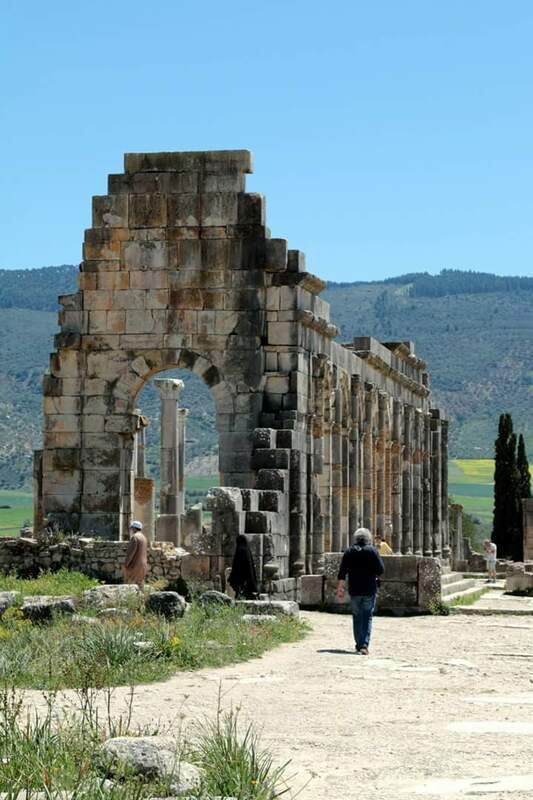 We are going to leave the medieval Fes and heading to another part of Morocco. 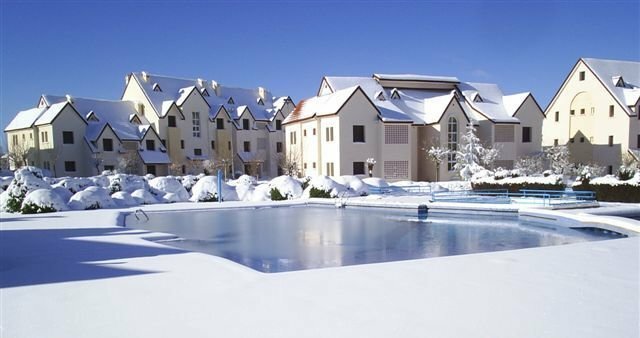 Crossing the Middle Atlas Mountains .We stop for a short break in Ifran or the small Switzerland where is the first ski resort in Morocco. We will be surrounded by amazing sceneries and landscapes of mountains and plains. 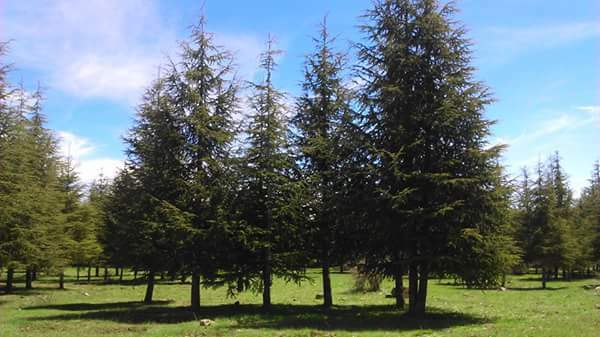 A special species of native monkeys living in cedar woods, over 30 members in one family called Maggot monkeys in Azrou. We will have lunch break in Midelt, it celebrates the festival of apples every years. There is a big contrast of landscapes especially before we arrive Errachidia main city named after a prince Moulay Rachid around 1971.Then we drive through Ziz valley to get us to Arfoud ,the gate of the sahara or where we celebrate the festival of date, and to Merzouga. After your breakfast we leave the sand dune Merzouga and head towards the old system of irrigation that is still used in the oasis of Eljerf. A break on the way in Tinjidad .We will have lunch in valley of Toudra. It is considered as one of the oldest valley in Morocco for caravan trading and silver jewelry. A beautiful valley of 15 km of date palms ends up with a spectacular Gorges, mainly used for rock climbing and picnics. We embark on Dades valley which has an astonishing rock formation made by million years of erosion. We cross more Rose Valley, the only place in Morocco where we harvest Damascus rose in which we extract some products like rose water and rose oil best for skin treatment and anti-wrinkles. Overnight in Ouarzazate. 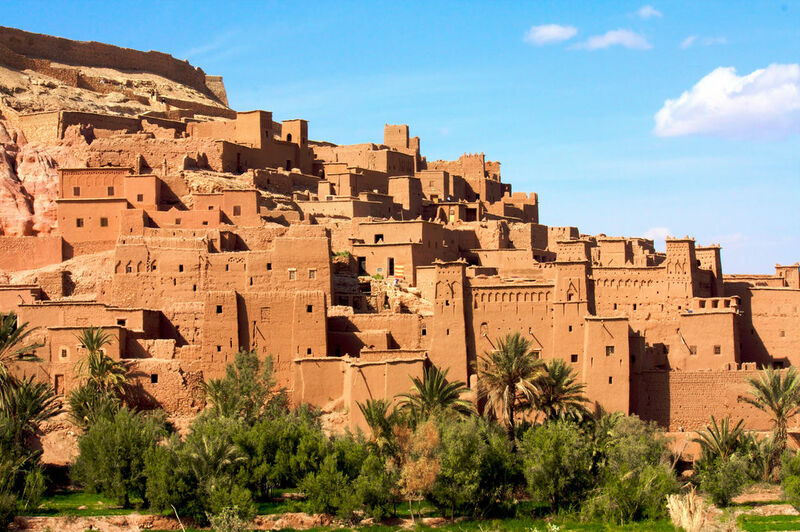 We have a nice drive to Ait ben haddou village where we will go for a walk to visit this ancient village. An old village where a list of movie credits were made starting with the first movies “Lawrence of Arabia”, ”Jesus of Nazareth”, ”Gladiator” and the list is still going on. 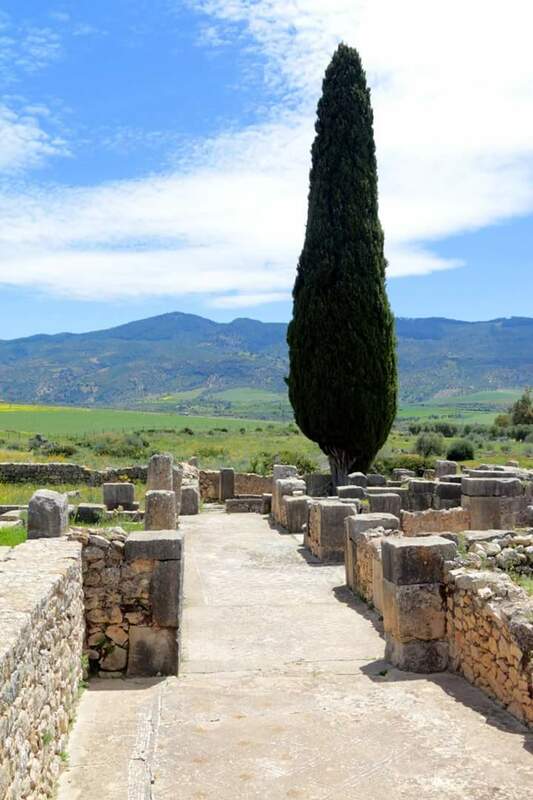 It is also listed in UNISCO as a site of world and national culture in 1987. After that we head to the north of High Atlas Mountains via Tizi-n-Tichka(2260m).A spectacular road of red mountains and Berber villages to Marrakech. 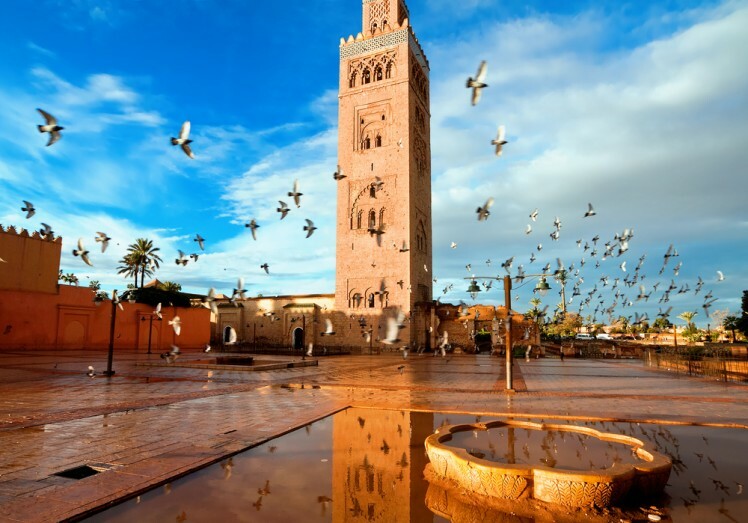 You are going to explore your trip with a guided tour of Marrakech. You are going with our local guide. Visiting Bahia palace;built by Bahmad Grand visir of Marrakech with its incredible mosaics and stucco and hear some interesting stories about 4 wives and the 24 concubines!!. The extraordinary architecture of Saadian Tomb, royal necropolis of 17th century. Spending some great time in the famous souks of Marrakech; you going to like different smells, colours, itmes and how big is the souks of Marrakech. Jack Majorelle garden,a peaceful spot in the ville nouvelle, contains botanic and exotic plants brought from all over the world, with dominating indigo blue to paint the wall.You will finish your tour at the square Jamaa Elfana. 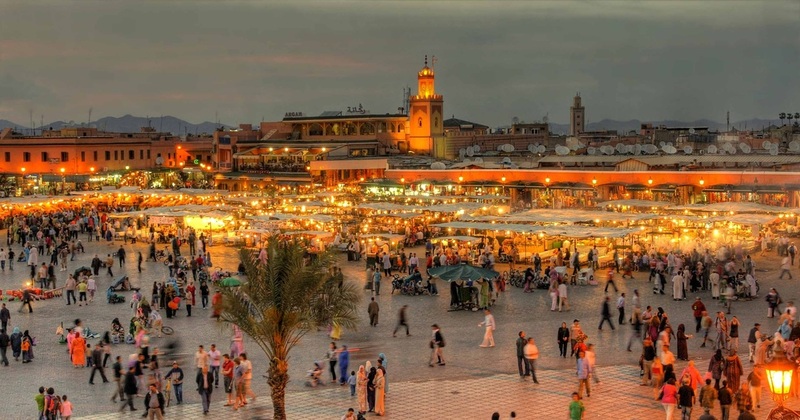 A bustling place where there are snake charmers, monkeys, food stalls and musicians, the most animated square in Marrakech!! after this marrakech visit transfert to airoport . 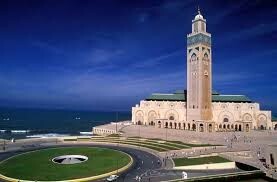 Our Tour is finishd when you are transferred to the airport of Marrakech or Casablanca. In hope you have enjoyed our tour.